Dash and his mate, Varanica. Dash is a true millenium baby, hatched on New Years Day of 2001. 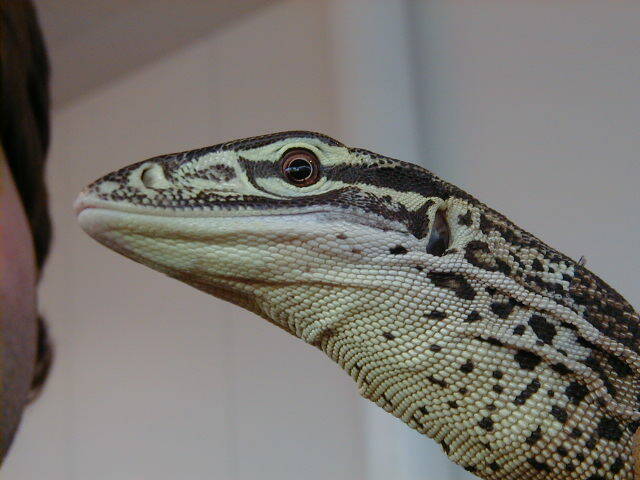 The offspring of Hall and Christian the Science Monitor, he has grown into a powerful male argus monitor in his own right. 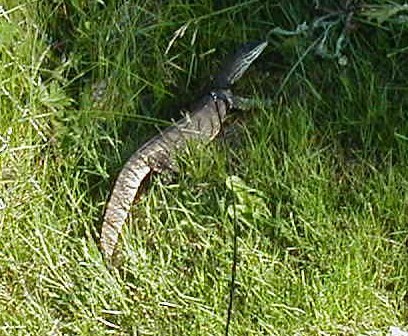 He is currently paired up with a female named Varanica. Although Varanica is small enough for Dash to eat her whole, he always treats her like a perfect gentleman (except when he can steal her food). 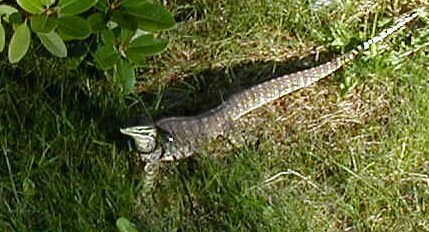 Dash is unusually calm for an argus monitor, although he will still treat you to a display of puffing up and hissing when you get too close. He displays the typical ravenous apetite of an argus, and is still quite active. Dash will climb on your head, if you let him. This was cute when he was smaller. Now it is just painful. I used to take Dash out for walks on a leash. 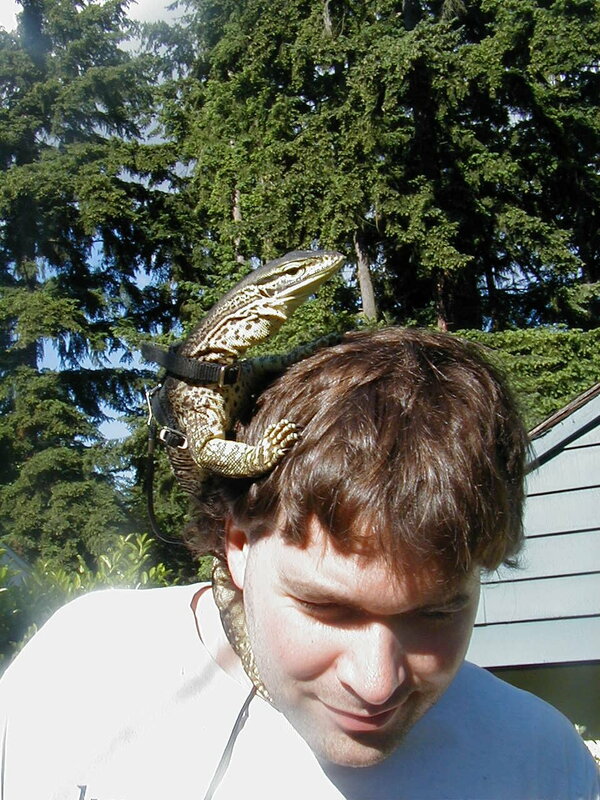 This is nothing like walking a dog - the monitor goes where it wants to, and you scramble along after it trying to keep it out of too much trouble.